For this year’s theme of Christmas Carnival, we wanted to reimagine the spirit of entertaining and celebrating that the Manor was known for. 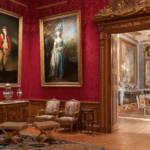 Inspiration for the decorations has been taken from the collection, events, associated characters and family members. What goes on behind the scenes to take these ideas from mere imagination to sparkling reality? It took a team of up to seven people from Jane Le Bon’s design team 15 days to install and decorate all of our spectacular displays. 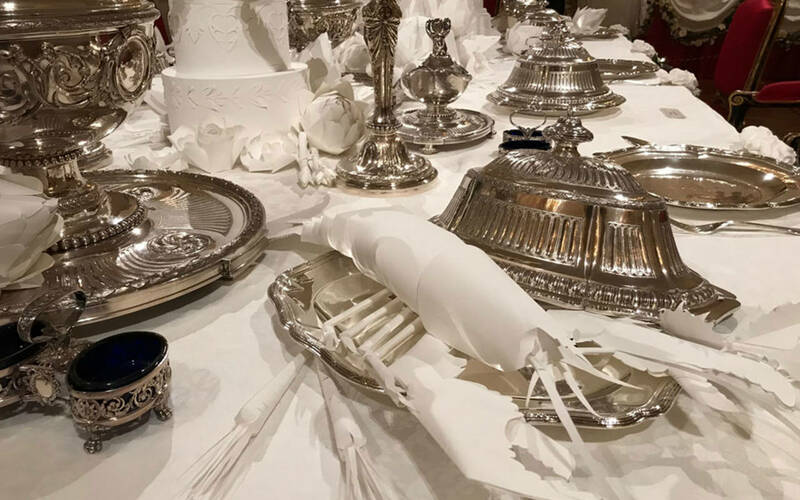 This doesn’t include the four weeks that it took paper sculpture artist, Amy Williams to make the detailed paper banquet for the White Drawing Room. 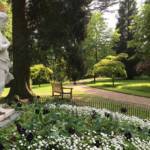 We have fourteen 12-15 foot trees which were chosen especially for Waddesdon from a farm in October. These have been dressed with over 10,000 pea lights. 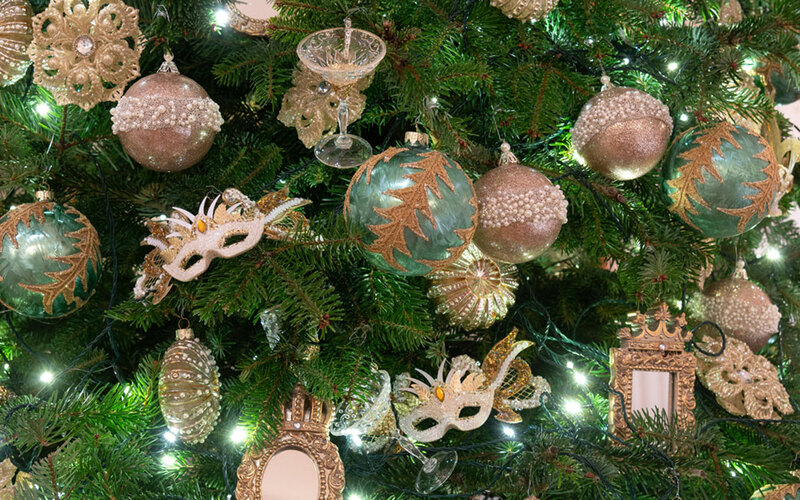 Other items used to adorn the trees include 160 masquerade masks, 100 feathered birds, hundreds of metres of ribbon and fabric, and 8,000 individually hand wired baubles. The urns on the console tables in the White Drawing Room were made by the team from over 300 hand painted fruit and vegetables. 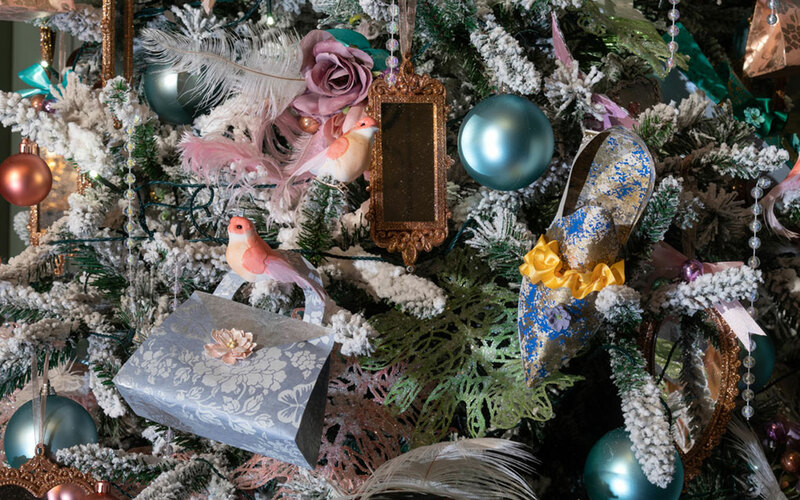 The tree in the Blue Boudoir is decorated with 18th century inspired bags and shoes which are made from hand printed paper. 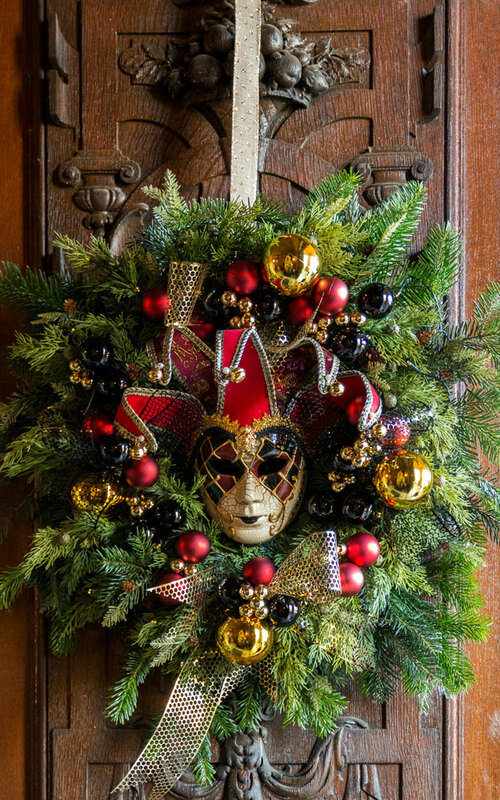 To give a better idea of the timescale for decorating the house take a look at the East Gallery which features harlequin masks, sheet music, and ribbon. This room alone took two people four days to source, unpack and wire up the decorations. All together the planning for the spectacular Christmas Carnival has taken almost a year which is why we are already looking ahead to Christmas 2019! Tickets to see the House have been selling fast this year with weekend tickets already sold out. 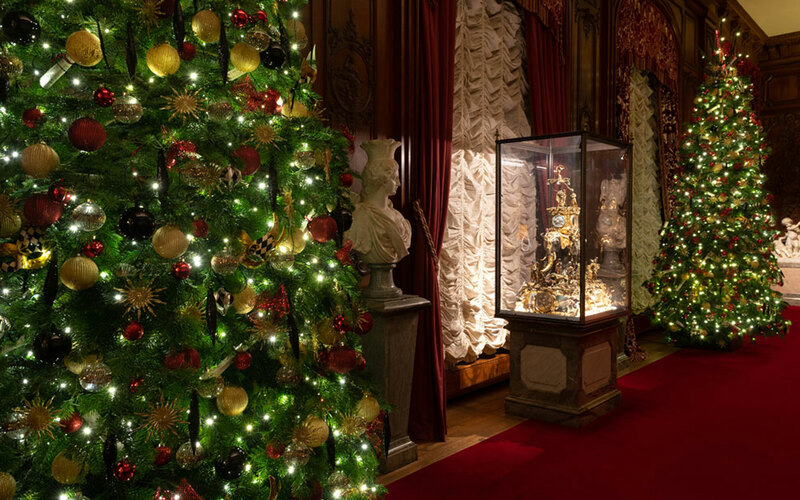 There are still spaces free to see the beautiful displays in person during the week, tickets are only available to buy in advance so book soon to avoid disappointment.